Mayor Emanuel ignores his own reform panel in pledging $55 million for an arena and hotel. Brian Jackson/Sun-Times Media Carole Brown chaired the TIF Reform Panel that Mayor Emanuel once touted and now disregards. If you're still inclined to believe anything Mayor Rahm Emanuel says about, well, anything, let me remind you that it's been almost two years since he announced he had reformed the much-maligned tax increment financing program. 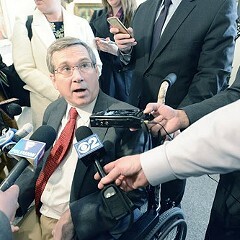 His announcement came at a press conference on August 23, 2011, when he heralded a new report—produced by a panel of experts he had assembled—called Findings and Recommendations for Reforming the Use of Tax Increment Financing in Chicago: Creating Greater Efficiency, Transparency and Accountability. A snappy title that just rolls off the tongue. Fast-forward to Mayor Emanuel's recent proposal to spend about $55 million in TIF funds to buy land near McCormick Place on which he intends to build a basketball arena, which will be leased to DePaul University, as well as a new hotel. As you may have heard, the TIF program diverts roughly $225 million a year in tax revenue from the schools. Its stated purpose is to spend the money on projects that will eradicate blight in the poorest of poor neighborhoods and construct stuff we really, really need. 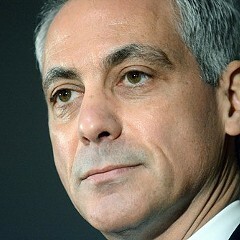 Having spent two years running Chicago, Mayor Emanuel has apparently come to the conclusion that the area around McCormick place is among the poorest of the poor, and that a basketball arena for a private university charging more than $30,000 a year in tuition is at the top of the list of things this city really, really needs. In any regard, I thought it would be interesting to see whether the mayor's $55 million TIF proposal conforms to the recommendations of his own TIF Reform Panel. That required rereading the report. Oh, the suffering I've endured for you, my loyal readers. The first thing I noted was that the panel included two men who are currently up to their eyeballs in the $55 million deal: Steve Koch, then a vice chairman at Credit Suisse, an investment bank; and Andrew J. Mooney, then as now the mayor's commissioner of housing and economic development. 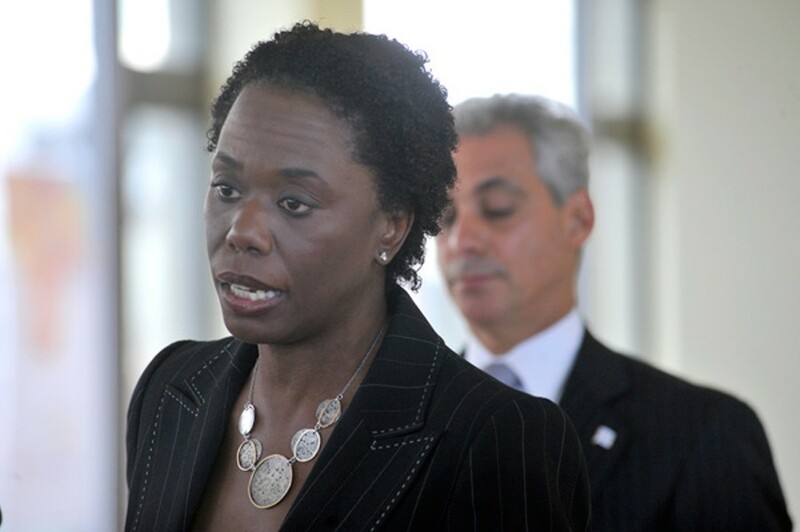 Last year, Koch left Credit Suisse to become Emanuel's deputy mayor. As far as I can tell, the job requires him to look on in awe—feigned or real—as the mayor explains his latest harebrained economic development scheme. Of course, now that I think about it, that may be Mooney's job as well. The TIF Reform Panel was chaired by Carole Brown, managing director of Barclays Capital, which is—you guessed it—an international investment bank. The mayor loves his investment bankers. "When you established the TIF Reform Panel, you did so challenging us 'to create accountability systems that will ensure our TIF investments go to projects that have real return for taxpayers—new jobs and economic development,'" Brown wrote in a letter to the mayor accompanying the report. Alas, with the $55 million deal, the mayor violated his own charge to the panel. Think of it this way: the mayor is looking to spend $55 million of your property taxes to make you pay more in property taxes. There certainly isn't much in the way of accountability: He didn't commission a study or analysis to determine how we'd benefit from the deal. He still hasn't published any of the plan's nitty-gritty details. He didn't run it by the residents who live in the area, many of whom say they don't want the basketball arena. 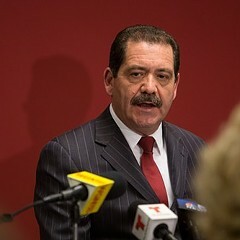 The first anyone heard about the plan was when it was leaked to the Chicago Sun-Times as a done deal. It's hard to see how it could have any "real return" for taxpayers. As I explained last week, he's using the $55 million to buy land that's currently taxable. But as soon as the city owns the land, it will no longer be on the tax rolls. So instead of generating new property tax dollars—which is what TIF projects are supposed to do—he'll be generating less. Moreover, by making the land tax exempt, the mayor will effectively be raising everyone else's property taxes to compensate for the tax dollars that aren't generated around Prairie and Cermak. 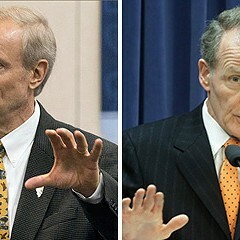 Think of it this way: he's looking to spend $55 million of your property taxes to make you pay more in property taxes. 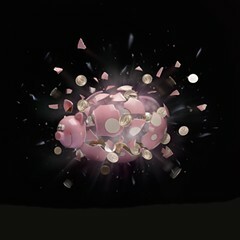 I wonder what the bankers at Barclays or Credit Suisse would say if someone wanted them to invest in such a deal. The TIF Reform Panel also recommended that the mayor develop a "multi-year Economic Development Plan that is submitted to the City Council for consideration. The [plan] should guide all future TIF districts and designations and project allocations." Well, the mayor hasn't submitted such a plan. So we'll never know how the $55 million fits into the larger scheme. What else? The panel recommended that the mayor "make it easier for the public to understand the rationale for TIF funding for a project" by adopting standards for handing out TIF funds, then conducting a formal analysis to determine whether each proposed project meets the bar. Each "justification" analysis should include a "but for" test that "must show that the developer returns are so dependent on TIF funds that the project would not proceed without it. This is oftentimes the hardest 'but-for' rationale to prove." You can say that again. This deal obviously flunks the "but for" provision in that the mayor wants to buy land in a relatively hot real estate market—in fact, developers wanted to build hotels there without TIF assistance. So the net effect of the mayor's TIF deal is to push aside developers who want to build without a handout. 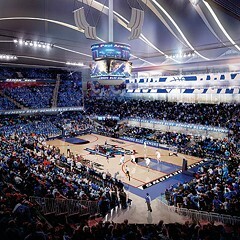 DePaul has agreed to kick in $70 million to help build the new arena—another sign that this fails the "but for" test. If the school has $70 million to build an arena on the near-south side, it can afford to build it just about anywhere. And there are lots of communities with vacant land that would love to have DePaul build a basketball facility there. For that matter, we'd probably all be better off if DePaul just played its games in its gym on Sheffield, in the heart of its Lincoln Park campus. The TIF panel further recommended that every TIF deal be measured to determine whether, at the very least, it produces a net benefit for the public. In this case that means the mayor would have to show Chicago taxpayers that the hotel and basketball arena will generate enough money to pay back the $55 million he's spending to build them. He'd also need to prove that the hotel and arena will make up for all the property taxes we would have received from the land if he hadn't spent $55 million to make it tax exempt. I know you like to work fast, Mr. Mayor, so please have that report on my desk in the next month or so. The money the mayor pledged to combat violence is nothing compared to the dollars he’s set aside for the DePaul/Marriott deal. Donors to the governor get help from the speaker's property tax game.